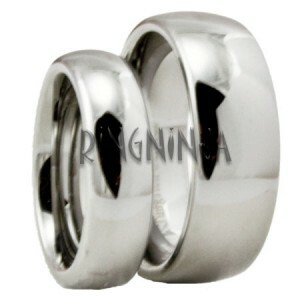 This is one masculine ring. 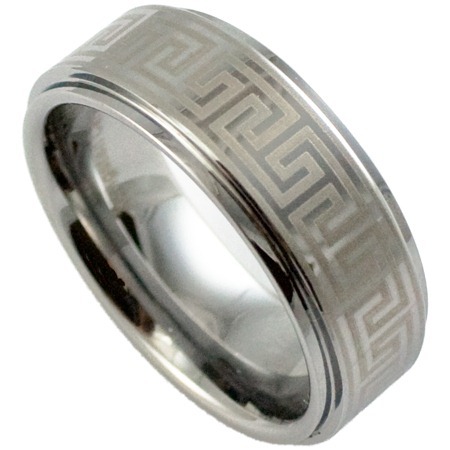 If you’re in the market for a pipe cut style wedding band, and you want something that is durable, wide, and is sure to get noticed then this may be just the ring for you. This Super Wide Tungsten Wedding Band from Ring Ninja measures 12MM in width and comes in sizes from 7 all the way up to size 17. It’s very difficult to find sizes that large these days that don’t cost extra, or takes weeks to order, so if you are looking for a size 16 wedding band, or a size 17 wedding band, this might be the ideal ring for you. In addition to it’s bold styling, this ring can also be custom engraved. 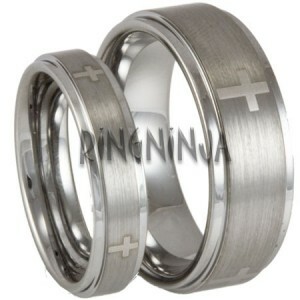 Not only can this ring be engraved on the outside, but it can be engraved on the inside as well. 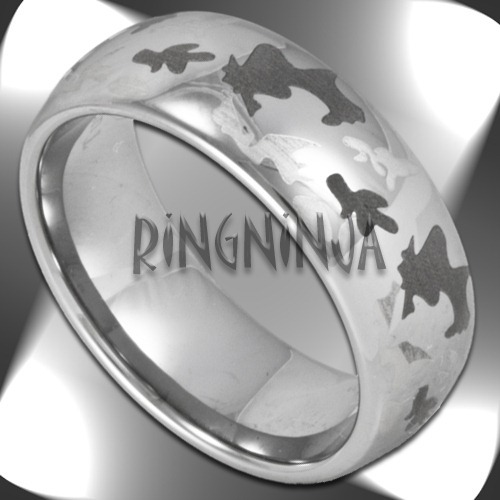 At the time we are reviewing this ring, engraving through Ring Ninja is on sale for just $20 per ring, vs the normal price of $24.95. 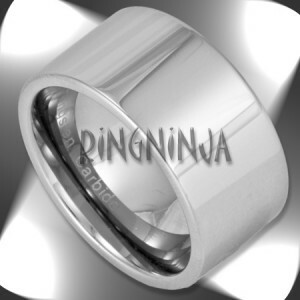 If you’re looking for a quality engraving job that isn’t going to wear off, and isn’t going to void your warranty – we recommend utilizing Ring Ninja’s high pressure diamond tip rotary engraving service. We know that laser engraving is the latest ‘hip’ thing, but the fact of the matter is, on custom engraving, it’s just not all that it’s cracked up to be. After a couple of weeks your custom laser engraving can start to fade – however with a more traditional, all be it very high tech set up and machinery, a diamond etching will out last any custom laser engraving job. 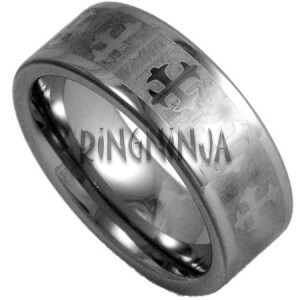 In fact not only will diamond tip engravings not fade, they will actually darken a little bit over time. 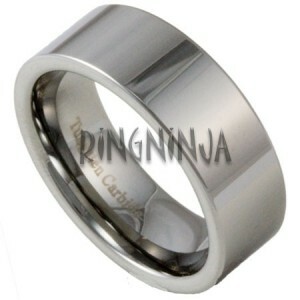 As always Ring Ninja is providing competitive pricing, with amazing quality and service. This ring will carry their standard lifetime warranty, and that warranty is not going to be voided if you’ve decided to engrave your ring. 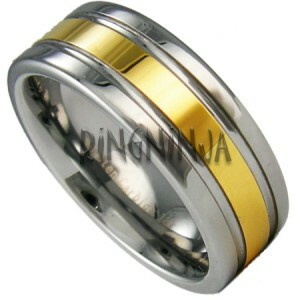 Be sure to check out their new gold wedding ring collection as well if Tungsten Rings aren’t the direction you’d like to go in. This is truly a great looking ring. In fact, I’m not even sure you can just refer to it as a ring — this thing is a piece of art. The way that the center of this ring is raised above the edges, and the center brushed to give it a nice, dark hue, is truly breath taking. 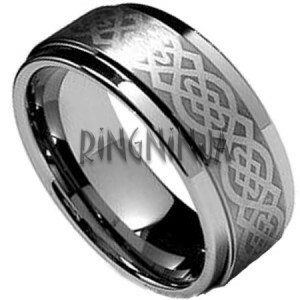 What makes this particular ring a true piece of art though is the laser etched Celtic Knot pattern that stands out on the raised center. 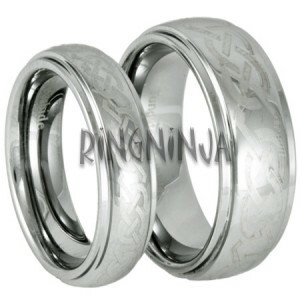 Symbolising two that have become one is really brought to the forefront in the craftsmanship on this ring.